If you live in the Sacramento area celebrate National Go Skateboarding Day on June 21st. by skating at Power Inn Skatepark all day. 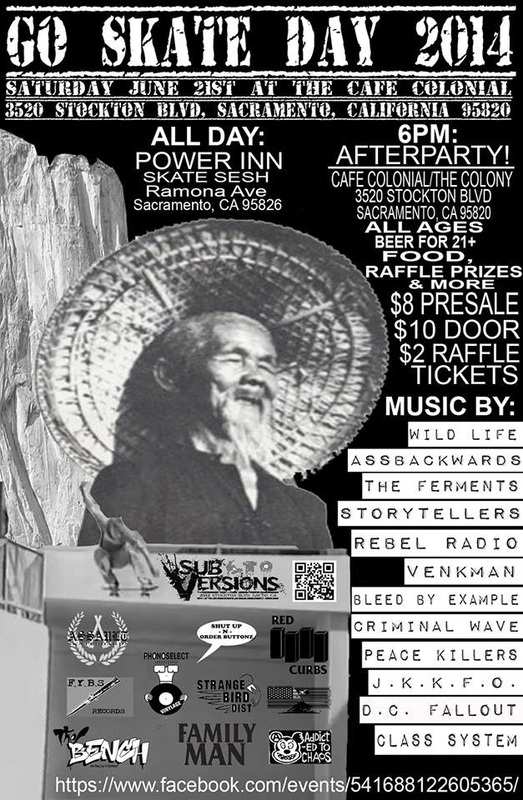 There is an all ages after party with lots of live music, food, and a raffle. Red Curbs and other quality brands will be providing product for the raffle. click the flier for all the times and location information.